On Whidbey Island located in Puget Sound Washington State is Fort Casey, the home of Admiralty Head Lighthouse and its seventeen year old female assistant keeper. Fort Casey is near the Coupeville Ferry Terminal. So, its a good idea to arrive early for your ferry giving you time to explore the lighthouse which is located inside Fort Casey Historical State Park. In 1858, 10 acres was purchased by the U. S. government to build a lighthouse. They paid $400.00 . This was the first lighthouse and was built of wood as a two story house with a tower rising from the gable. It was finished in 1861. Its light was visible for 16 miles. In 1890 the lighthouse was relocated to a place close to the present lighthouse. It was demolished in 1928. The first keeper of the first lighthouse was a sea Captain nicknamed "grey grizzled seadog". This was after the indians burned his house down and he put a cannon in his yard to discourage them. He also served as the coroner and the post master. A good way of knowing what was happening both on and off the island. At that time there were no women on the island. Asa Mercer president of the university in Seattle went to Massachusetts to recruit young ladies to move to Washington to serve as teachers and to even out the gender gap. So Daniel Pearson, a brave father, brought his two teen aged daughters and nine other girls to the island. These gals were brought from all over the U. S. and abroad. 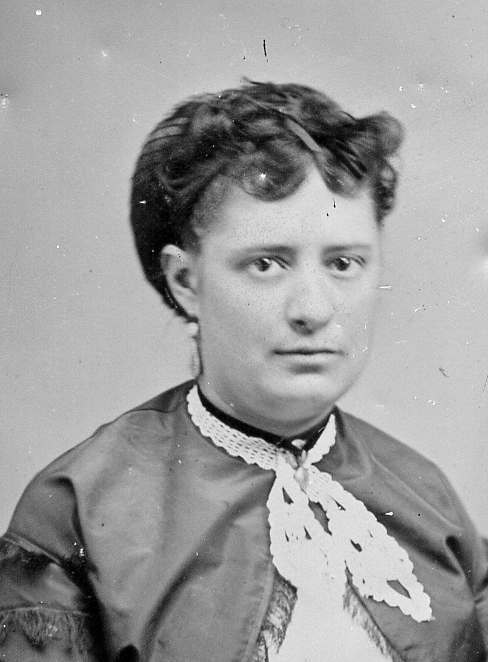 In May 1866, a seventeen year old girl named Flora Pearson became assistant lighthouse keeper for her father, Daniel Pearson. She stayed for more than 10 years. During this time she married and gave birth to a son. In later years under the pen name, Flora A P Engle, she wrote extensively of the history of whidbey Island. The Island County Times carried a series of her articles. The present lighthouse, constructed of brick and stucco was built in 1903. It is located at the east entrance point of Admiralty Inlet. Admiralty Head is the southeast point of a line of bluffs which extend northward along the western shore of Whidbey Island to Point Partridge.. This is where the bluffs are at their highest. In 1922 the lighthouse was deactivated. The lantern was moved to the New Dungeness Lighthouse in 1927. Later the lighthouse was used by the K-9 dog training program. A 25 cent postage stamp featuring the Admiralty Light was issued by the U. S. Postal Service in 1990. 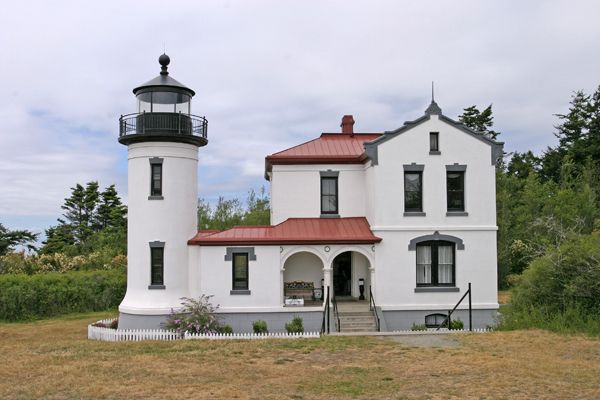 The Washington State Parks Department has since restored the lighthouse. in cooperation with the Lighthouse Environmental Program, Washington State University's Extension Office and local environmental programs. In 2012 a group of student volunteers from three Whidbey Island high schools installed a reconstruction of the lantern house atop the tower. As you enter the park there will be an automated pay station where you can buy a one-day or an annual Discover Pass. 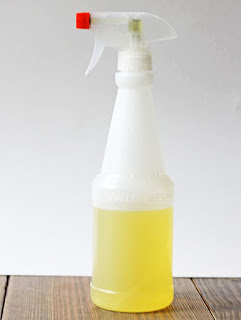 I want to share a recipe I found on line for vinegar orange cleaning solution. This is very easy to make and much cheaper and safer to use than brand name cleaning solutions. Fill a quart jar with orange peels. ( any citrus peels will work just as well). Then fill it to the top with white vinegar. 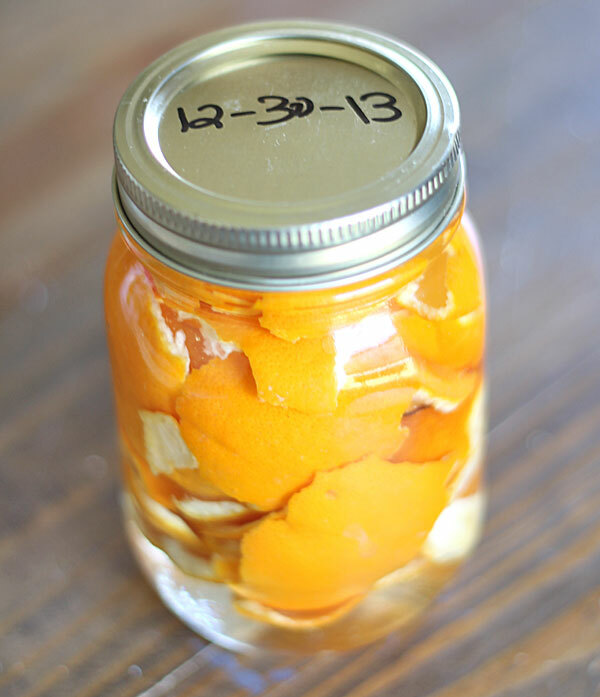 Date the jar and set it aside for at least two weeks. When the two weeks are up drain the peels and pour the now orangy vinegar into a spray bottle. Excellent for use in the kitchen as it is absolutely food safe. 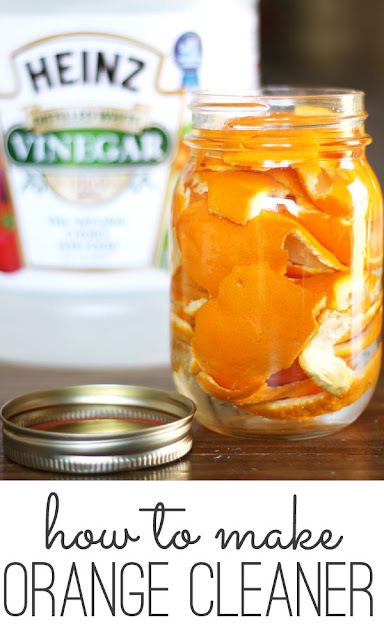 At first the vinegar smell will be rather strong but the odor will dissipate as you use it leaving a pleasant citrus scent.